Tempe, Arizona to/from Phoenix Sky Harbor International Airport (PHX). Great Flat Rates! More often than not, our town car flat rate fares to and from Tempe and the Phoenix Airport (PHX) are less than taxis charge for the same service. So, why travel in a taxi when you can travel to the airport in style and comfort in any one of our luxury vehicles. >> VIEW OUR RATES. A Luxurious Vehicle Fleet. Whether you are a single executive, traveling couple or a large group, Roadrunner has the right vehicle for you. Depending on the amount of passengers, Roadrunner Limousine’s fleet includes town cars, limousines, SUV’s, passenger vans and even 30+ passenger coaches. All our vehicles are clean, comfortable, private late model luxury vehicles equipped with GPS Navigation systems. 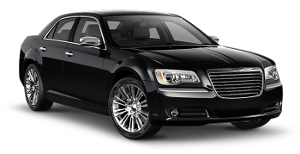 So, why take a bumpy taxi from Tempe to PHX when a luxury vehicle is available at Roadrunner Limousine? Roadrunner Limousine, serving Tempe and Phoenix, Arizona, provides exceptional service for its executive clients. Our executive guests expect reliable, convenient and comfortable transportation to or from Tempe and the Phoenix Sky Harbor International Airport. As important as it is to provide our executive passenger with optimum service, working effectively with their executive assistants and travel coordinators makes everyone’s job easier. For them, we have a state-of-the-art online booking and account monitoring system accompanied by a highly trained staff to help develop and execute the most sophisticated travel plans that any busy executive or corporate group might need. First Time Coming to Tempe, Arizona – Did You Know? Fort McDowell was established approximately 25 miles northeast of present downtown Tempe on the upper Salt River in 1865 allowing for new towns to be built further down the Salt River. US military service members and Hispanic workers were hired to grow food and animal feed to supply the fort, and less than a year later, had set up small camps near the river that were the first permanent communities in the Valley after the fall of the Hohokam. (Phoenix was settled shortly afterward, by 1867-68.) The two settlements were ‘Hayden’s Ferry’, named after a ferry service operated by Charles T. Hayden, and ‘San Pablo’, and were located west and east of Hayden Butte respectively. The ferry became the key river crossing in the area. The Tempe Irrigating Canal Company was soon established by William Kirkland and James McKinney to provide water for alfalfa, wheat, barley, oats, and cotton. Pioneer Darrell Duppa is credited with suggesting Tempe’s name, adopted in 1879, after comparing the Salt River valley near a 300-foot (91 m)-tall butte, to the Vale of Tempe near Mount Olympus in Greece. The Maricopa and Phoenix Railroad, built in 1887, crossed the Salt River at Tempe, linking the town to the nation’s growing transportation system. The Tempe Land and Improvement Company was formed to sell lots in the booming town. Tempe became an economic hub for the surrounding agricultural area. The city incorporated in 1894.